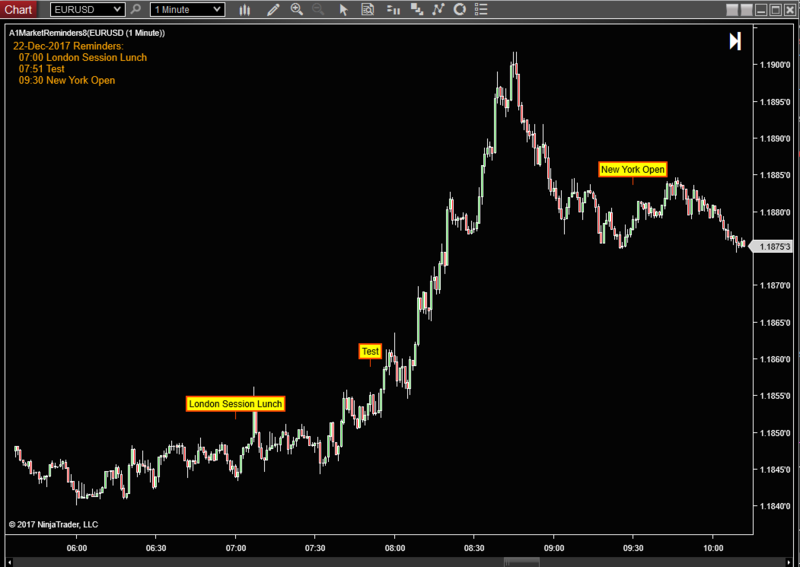 Indicator prints unlimited number of user defined reminders on the occurring bars on the chart. Also works on historical bars. I mainly use it to remind me of scheduled Economic Reports, and other miscellaneous times, and daily tasks. Reminders list only has to be entered once. An unlimited number of reminders can be used. Thanks to NinjaTrader_Jim and NinjaTrader_Bertrand for help with this conversion. NOTE: Is NOT compatible with Tick-replay charts.